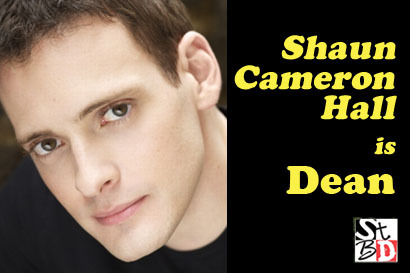 Dean Dockerty (Shaun Cameron Hall) fancies himself a success, an inspiration and a womanizer. Mostly, he just fancies himself. His antagonistic relationship with Leo and Dierdre is rooted in Dean’s days as a minor radio celebrity on the now-defunct WANT FM, where his ego far outweighed his actual success. His lack of self-awareness (and self-respect) is what ultimately led to the demise of his relationship with Caroline, though now that Dean’s prowling around Vanity Press, what happens next is anyone’s guess. “Jack’s Back” — Dean’s party is a microcosm of bad behavior. “United We Fall” — Caroline’s bad breakup with Andy sends her rebounding to… Dean? “The Dean and Jessie Show: Day One” — Dean has a co-host? This won’t end well. “One Thing Leads to Another” — Todd’s lunch offer to Caroline flips Dean’s jealousy switch. “The Double Date (Part 2 of 3)” — Leo’s double date falls apart when Dean and Caroline snap. “New Year’s Eve, Part One” — Loose ends entangle when Dean shows up on Caroline’s doorstep.